- Press and hold to turn the Gear on or off. - Press to turn on the screen. - Press and hold for more than 7 seconds to restart the Gear. 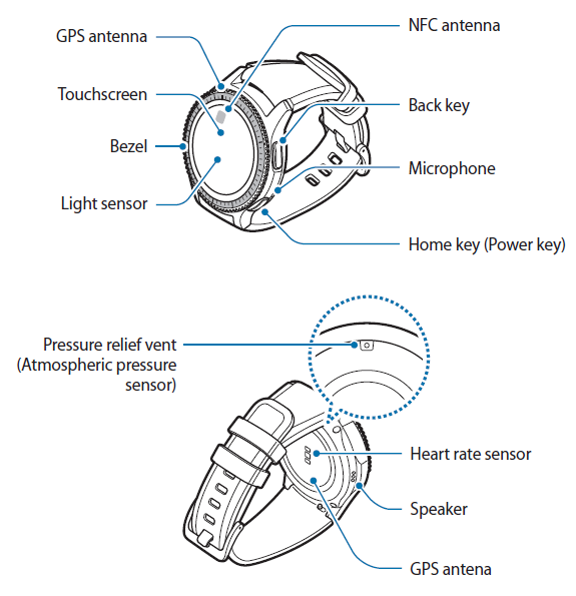 - Press to open the Apps screen when you are on the Watch screen. - Press to open the Watch screen when you are on any other screen. - Press to return to the previous screen.